Five minutes before our small group was to arrive, my pride broke a world’s record in the longest nose dive. The food was prepped, the toilets were scrubbed, and I had even managed to sneak in a shower. I was feeling pretty smug. I bet Martha Stewart had never attempted hospitality with three-year-old twin boys in tow! But it was the smell of poop that first alerted me that something was amiss. Twin A had taken off his underpants and hadn’t made it to the toilet in time. And whether on purpose or by terrible accident (does it really matter? ), had smeared the contents of his undies all over the carpet. With my guest’s impending arrival, mom went into hyper-galactic panic mode. But before I could clean mess A, I discovered that Twin B had cut a hole in the second-story window screen and parachuted all 435 of his stuffed animals onto the front porch below. My small group was probably surprised to be greeted by a clan of stuffed bears of varying sizes as well as the lingering smell of poop that evening. And while I’d like to say I smiled gracefully and managed to worship the God who gave me Thing 1 and Thing 2, I didn’t. I made the rest of the evening about me, instead of others. According to Peter, hospitality takes “deep” love. And when we grumble about the cost and effort of food prep and the inconvenience of cleaning up duty, we are revealing the real “love” of our hearts – ourselves. Because hospitality is an expression of love, our pursuit of it says a lot about the nature of our faith. 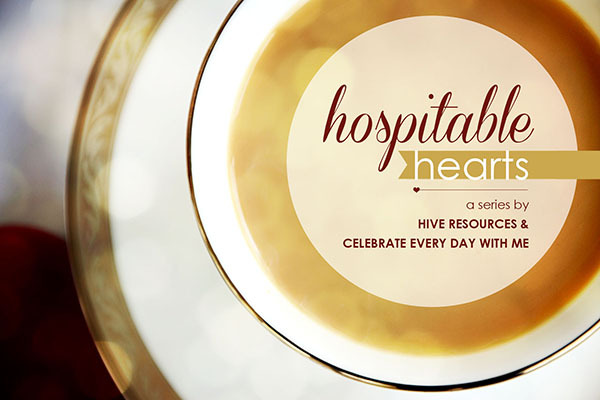 Hospitable hearts demonstrate the love they’ve been shown in salvation through Christ Jesus. It was around a crowded dining table that Jesus declared he was the answer to the world’s great need. “And He took bread, gave thanks and broke it, and gave it to them, saying, “This is My body which is given for you; do this in remembrance of Me.” Likewise He also took the cup after supper, saying, “This cup is the new covenant in My blood, which is shed for you” (Luke 22:19-20). As the Bread of Life, Christ extends salvation to us – the unsavory and spiritually hungry dinner guest (John 6:32; 51; Is. 55:1-2). And when we partake of his sacrificial love – wrought by his blood and body on the cross – we are welcomed to our Maker’s Table once again (Rev. 19:6-9). 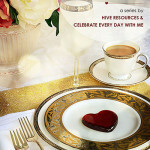 Christ shows us the ultimate form of hospitality. Every party has a guest list. Jesus’ dinner party is no different. To imitate my hospitality after Christ means I must open my home to strangers and treat each guest as if they were family. That is both frightening and draining, right? Do you have a “Do Not Disturb” sign hanging from your heart? Consider pursuing hospitality simply because Christ has extended the ultimate form of hospitality toward you in salvation. The home is the most natural place to share that same form of love with others. 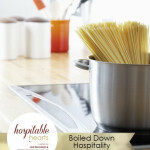 Still not convinced hospitality is for you? Then be sure to check out Kristen’s post ‘15 Tips to Become the Hostess with the Mostess’ over at Celebrate Every Day with Me tomorrow! 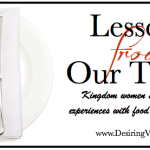 I loved her post yesterday – Boiled Down Hospitality – that helped me focus my heart on people rather than things! 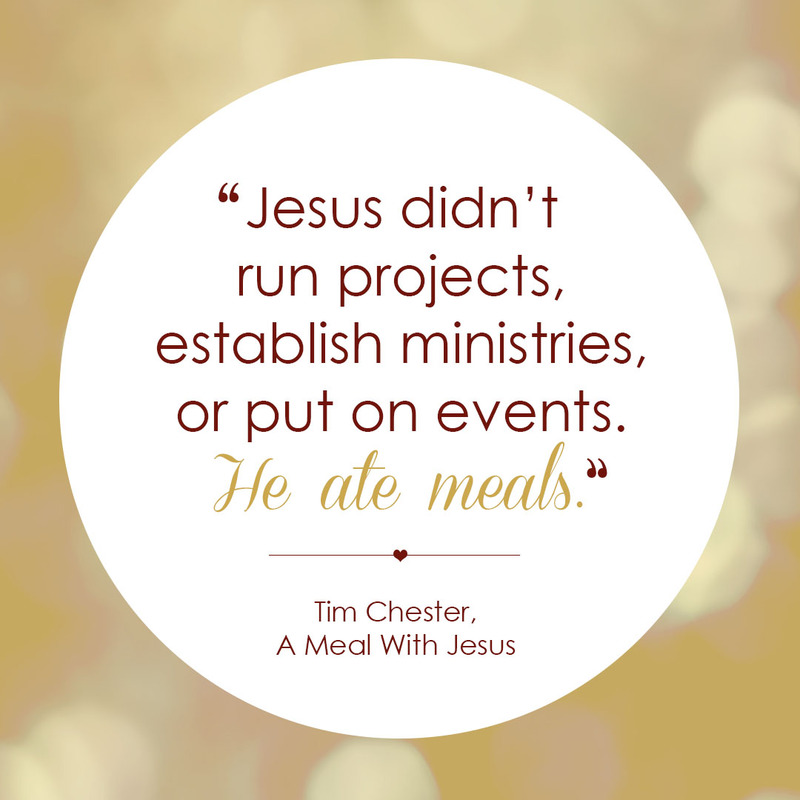 Tim Chester, A Meal with Jesus (Crossway: Wheaton, 2011), 32. I love this, Melissa! What a wonderful way you have communicated some really important truths, and in such a “keeping it real” way! Couldn’t help but think of a passage I am studying for S.S. right now- the end of Acts 2 when the early church committed themselves to hosting one another (koinoinia) and sharing sacrificially with one another. This is what we are called to do as well and will do if the Spirit is powerfully moving inside of us! Thank you so much for this encouragement today. oh Betsy, I love that passage. In fact, it is a very special verse for our church plant. Ever since we started to gather as a core group, we prayed Acts. 2:42 would be indicative of our fellowship! Thank you for sharing! True hospitality is imitating what Jesus did. In His life and death, His heart was always for others! Thanks for the great reminder, Melissa. SOOOOOOOOO funny. I was cracking up thinking about the poo situation, but then with the stuffed animals going out the window… that was just the icing on the cake! It is rare that my heart is “peaceful” the moment that our guests walk in the door, but I have to remind myself that even in this failing-even in my imperfect attitudes-my attempts to show hospitality are pleasing to the Lord and he can do much out of my little puny efforts. Love this series and encouragement! Thank you for thiswonderful reminder of truth, Melissa! Absolutely amazing article!! Love your real approach to hospitality. What a great view point. Hospitality is a beautiful gift.. One we grow in daily if we’re willing to. It opens the most beautiful doors of favor and friendship. Like you stated, it’s all rooted in “deep love and faith”! Love this. Thank you!